Description: Son of Jean Joseph Lamy, Joseph Alfred Lamy was born in Mirecourt, France in 1850. 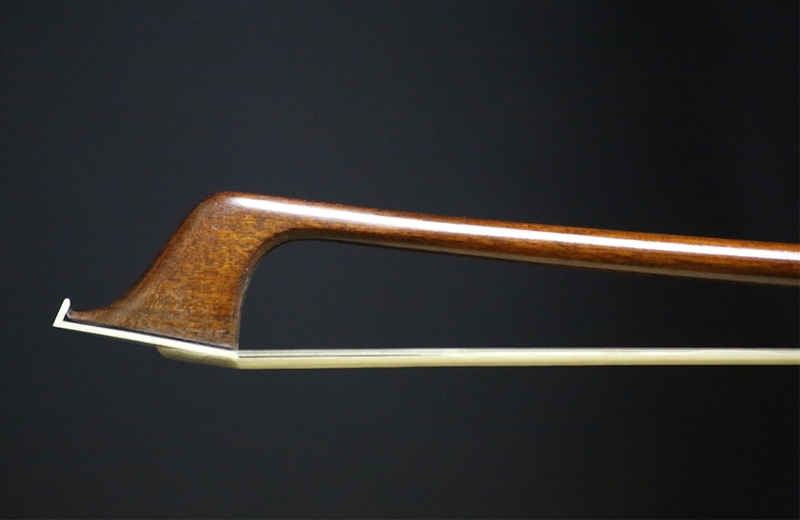 At the age of twelve, Lamy began his bow making apprenticeship under Charles Husson. In 1868, Lamy left Mirecourt to work for the Gautrot firm and later François Nicolas Voirin in Paris. Lamy’s successful and prolific career led him to a silver medal at the Paris Exhibition and gold medal in 1900. 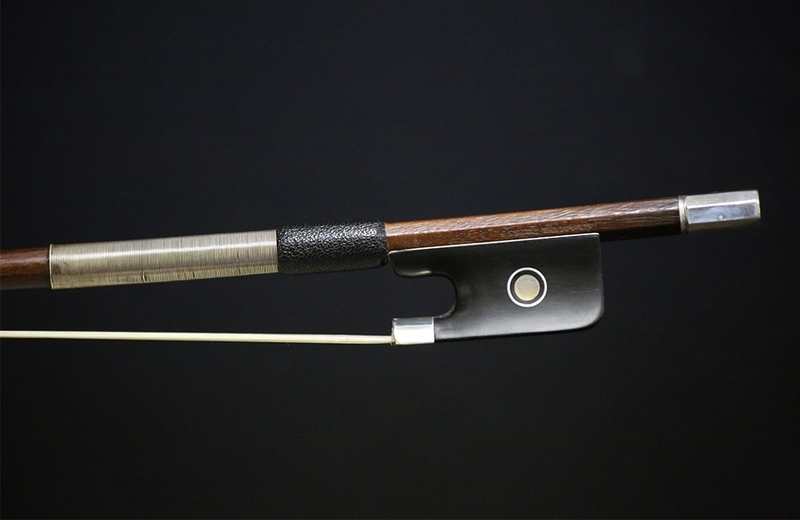 This particular bow is silver and ebony mounted onto a round stick of red-brown pernambuco. It is well balanced and produces a powerful, even tone across the strings. This bow is currently in excellent condition. Certified by Paul Childs. Weight: 80.2 grams.